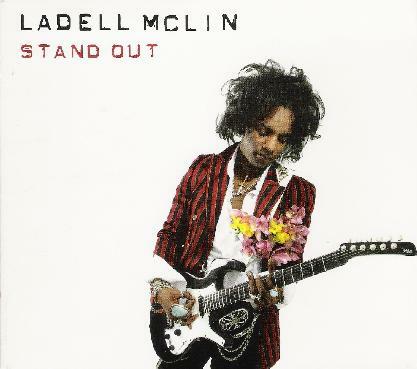 Ladell Mclin - "Stand Out"
Ladell is a cool guitarist from NYC who takes his trio for a little ride around the blues, funk and rock world with Jim Hendrix in his back pocket. The first time I heard the CD it came across as late era Hendrix with all the psychedelia removed and I still think that way. Good solid rock tunes with a cool Jimi like voice and some tasty guitar. All the tracks are pretty short and no real jamming occurs until the last track, "Universe", which features Vernon Reid (Living Color) on the first guitar solo as well as B. Divine taking the second solo and Mclin taking the last solo. This one gets better with each listen! For more information you can visit the Ladell Mclin web site at: http://www.ladellmclin.com. Visit the Gigantic Music web site at: http://www.giganticmusic.com.